Craigslist: Elephant Haters or Lovers? Thought Craigslist was a harmless forum for posting local classifieds? Think again. A report published this spring by the International Fund for Animal Welfare (IFAW) and the Wildlife Conservation Society (WCS) reported finding that $1.5 million worth of ivory was available for sale on Craigslist at one time, with an estimate of $15 million annually. So, is Craigslist now contributing to the potential extinction of elephants? Sadly, yes. 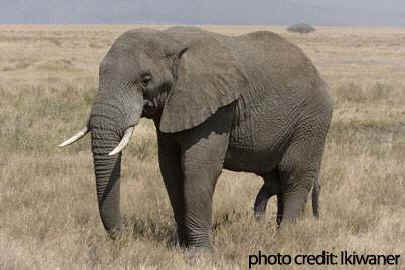 It is illegal to buy or sell ivory that has recently been imported into the United States. Craigslist can have no doubt that the sale of the vast majority of all ivory being sold on its site is prohibited by this law. It has been estimated that upwards of 90 percent of the ivory sales in Los Angeles and San Francisco are actually illegal. In a news piece covering the story, Vice.com has quoted one of the world's largest online petition site Avaaz's senior campaigner Joseph Huff-Hannon as saying: "Craigslist bans ivory on their site, but without enforcement it's an empty gesture—the company can do much more to monitor sales, and report illegal ivory sales to authorities." Damningly, Craigslist cannot plead that they are unable to enforce their ban. Part of the petition hosted by Avaaz was a campaign asking individuals to post images to Craigslist highlighting the site's role in the illegal trade of ivory. It is disappointing, but should come as no surprise, that Craigslist has been aggressive, and effective, in taking these posts down almost as soon as they go up. So there it is. Craigslist has the ability to, yet has chosen not to, intervene to help dismantle the illegal sale of ivory tusks. They can knowingly contribute to the killing of more elephants or to help save them. As a person deeply concerned about wildlife and one of 200,000 supporters of In Defense of Animals, I implore you to act for elephants today. You are aware that illegal ivory is being bought and sold on Craigslist, and that the market in ivory is the primary force currently driving the elephant species towards extinction. You are in a unique position to either help elephants - or to contribute to their extinction it's your choice. Through Craigslist's recent swift actions in taking down posts to your site highlighting Craigslist's role in facilitating the purchase and sale of illegal ivory, it is established beyond doubt that Craigslist does have the ability to swiftly remove posts that would sell ivory, should it choose to. Please act immediately to end the sale of all illegal ivory on Craigslist, once and for all.